Welcome TO THE GREATER DETROIT CHAPTER! MISSION: The Association of Fundraising Professionals Greater Detroit Chapter (AFP GDC) will be valued as the premier resource for fundraisers in Southeast Michigan as the main driver of philanthropy in our community. 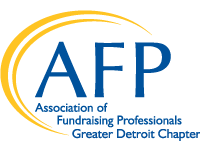 AFP Greater Detroit, seeks to foster the professional development and growth of fundraising professionals, to preserve and enhance philanthropy and volunteerism, and to promote the highest ethical standards in the fundraising profession worldwide. AFP Greater Detroit believes that diversity and inclusion create a strong, vital and unified force for the effective pursuit of an organization's mission and achieving philanthropic success. Through it's educational programs, AFP Greater Detroit acts as a resource to fundraising and nonprofit professionals throughout Southeastern Michigan. AFP Greater Detroit offers the best networking opportunities, an unwavering commitment to the highest ethical standards, and the most exciting and cutting edge educational and professional advancement opportunities. Learn how you can get involved and join AFP today! Last Chance to Register for Keynote Program with Gail Perry! How much could you raise if your board members and volunteers were fully behind fundraising? International consultant and author Gail Perry shares her secrets to igniting your board's passion, changing their mindset about fundraising and setting them to work in easy roles that will directly impact the bottom line. 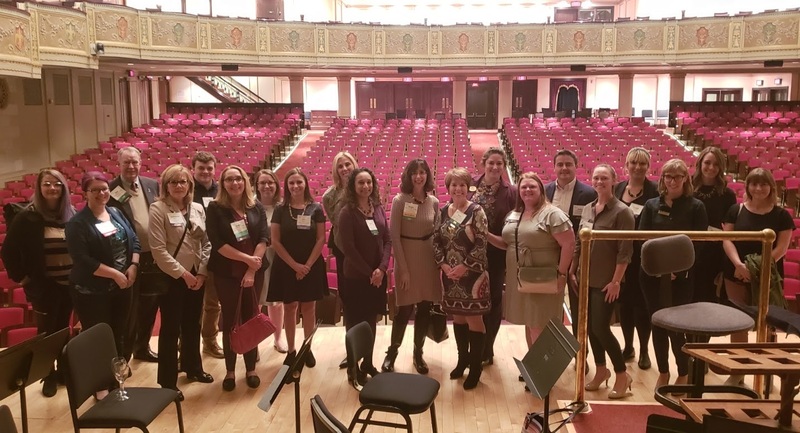 The Association of Fundraising Professionals (AFP) Greater Detroit Chapter has been named a 2019 Ten Star GOLD Chapter. Every year, AFP, the largest association of professional fundraisers in the world, honors chapters for achieving goals that align with key objectives in its long-range strategic plan. Chapters receive the Ten Star GOLD Award for performing specific activities designed to increase professionalism within fundraising and public awareness of the importance of philanthropy. Keynote Speaker Gail Perry "Fire Up Your Volunteers for Fundraising: Turn Their Passion into Action"